Quick summary: Students explore the production and use of palm oil by watching and responding to a video. They then undertake a structured inquiry into some of the key questions about palm oil. 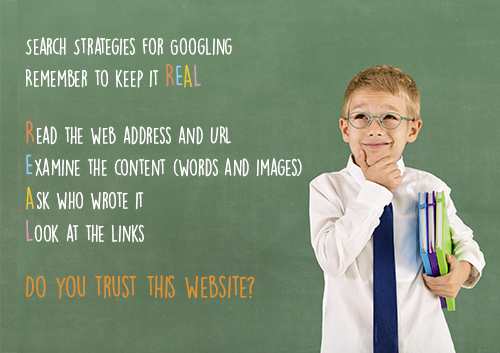 Students analyse persuasive techniques used in the video and think about language conventions used to deliver certain messages. Students are then asked to research the answers to four questions; two that they choose from a provided list and two that they have to create themselves. Finally, students will share what they know with other students by participating in an Inside/Outside Circle activity. This lesson has been developed in partnership with WWF-Australia. WWF has been working to promote the transition away from conventional palm oil production to Certified Sustainable Palm Oil that conserves forests, protects species, and secures livelihoods. 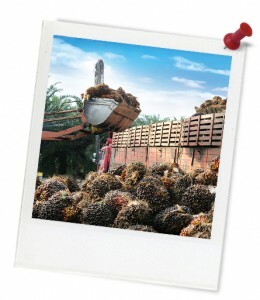 What are the key issues relating to palm oil and production? What is the relationship between palm oil consumption and the environment? What is my role as a consumer of palm oil and why do I have to make choices about buying products containing palm oil? 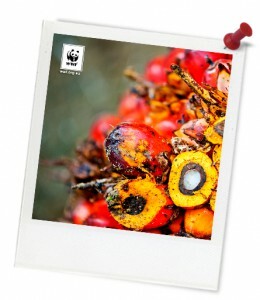 How can I use my consumer power to affect positive change with regards to palm oil? How can I use the Internet to help me find out more about palm oil production and consumption? General capabilities: Critical and Creative Thinking, Ethical Understanding, ICT Capability. Cross-curriculum priority: Sustainability OI.3, OI.5, OI.6, OI.7. Students identify and describe the interconnections between people and the human and environmental characteristics of places, and the effects of these interconnections on the characteristics of places and environments. They develop questions for an investigation and locate and collect data and information from a range of sources to answer inquiry questions, and examine these sources to determine their purpose. Students recognise why choices about the allocation of resources involve trade-offs and understand why it is important to be informed when making consumer and financial decisions. They develop appropriate questions to frame an investigation and locate and collect useful data and information from primary and secondary sources, examining these sources to determine their origin and purpose. Topic: Sustainable Palm Oil, Consumption. Unit of lessons: Sustainable Palm Oil. Time required: 60+ mins (extra time may be needed to complete homework PRIOR to this lesson). Overarching learning goal: Students will understand the range of issues relating to palm oil and consumption, including how palm oil is used in everyday products, the social and environmental impacts of palm oil production, and the need to consider the small-scale producers of palm oil. Students will also investigate persuasive techniques and how these can be applied to palm oil and consumption. Teacher content information: Palm oil is an edible oil that comes from the fruit of oil palm trees (Elaeis guineensis). It is a highly versatile oil, used as an ingredient in many foods, cosmetics and cleaning products that you find in your supermarket. Thought starter: When did you last eat palm oil? What are the three types of persuasive techniques listed in this presentation? You will now dig deeper into palm oil by researching the answers to four questions. You should choose two questions from the list provided below and create two of your own questions on the topic of palm oil to research and answer. Add your questions to the table below and complete the table. What is palm oil, where is it grown and how is it grown? How does growing palm oil affect animals? How does growing palm oil affect local people? What types of products is palm oil used in? How do you know if your product has palm oil in it? Why is palm oil a popular oil? What are the benefits of palm oil?